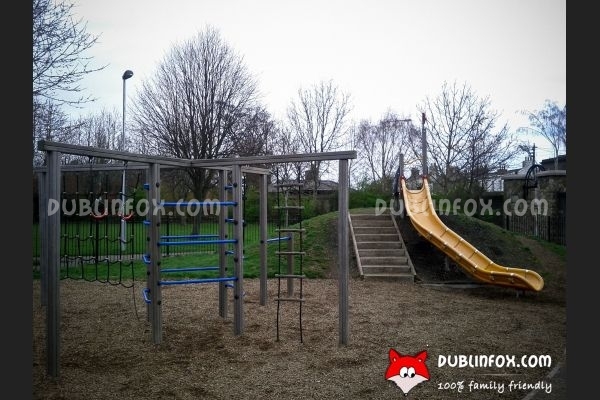 The playground in Carysfort Park is small, but lovely. 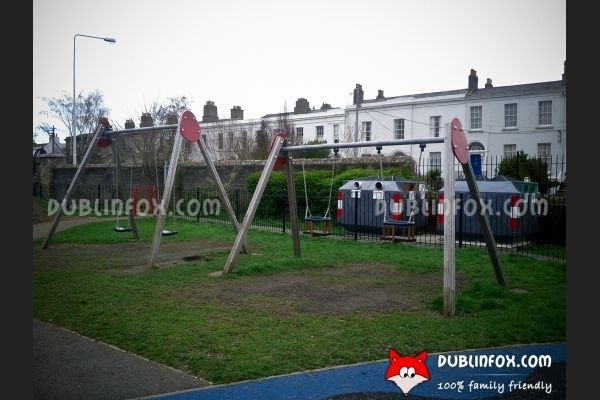 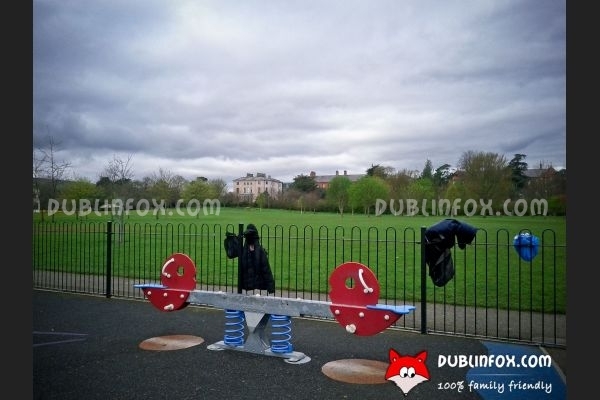 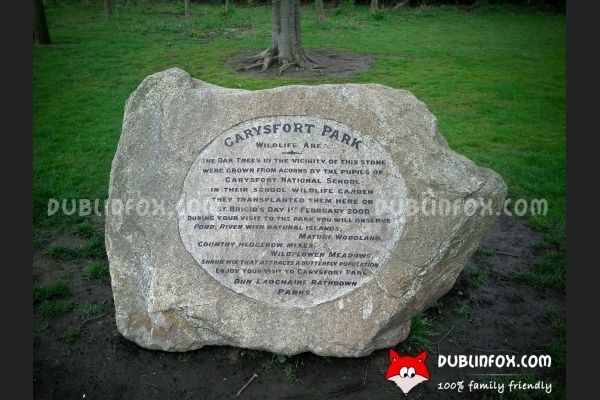 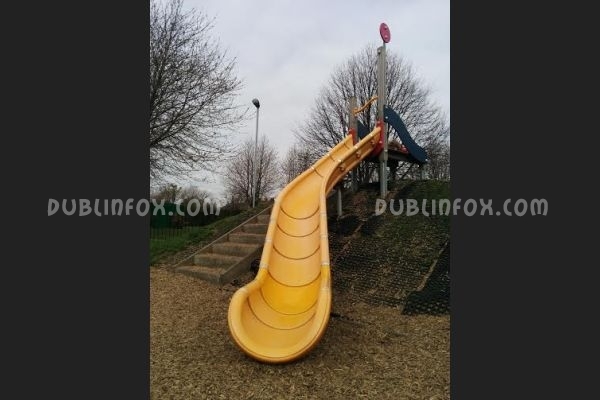 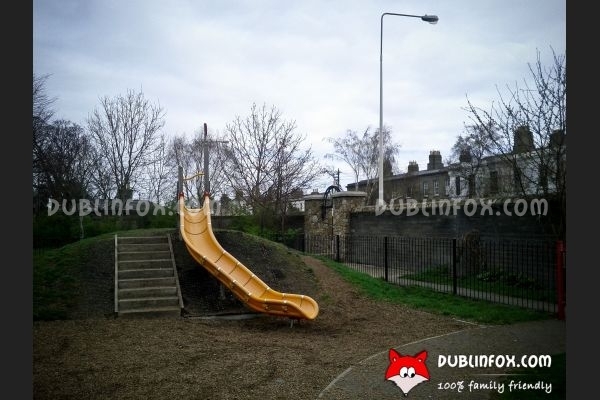 It is well-kept and tidy, just like Carysfort Park itself. 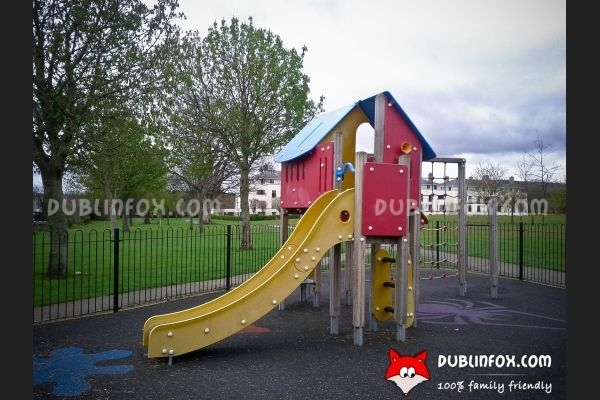 In the playground, there are two baby swings, two "normal" swings, a see-saw, a multi-play unit, a climbing unit and a cool curved slide. 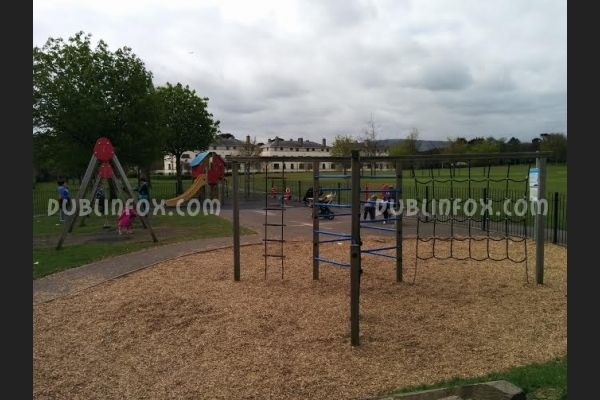 Parking in front of the park is easy, but be careful, it is a pay & display area, do not forget to buy a parking ticket. 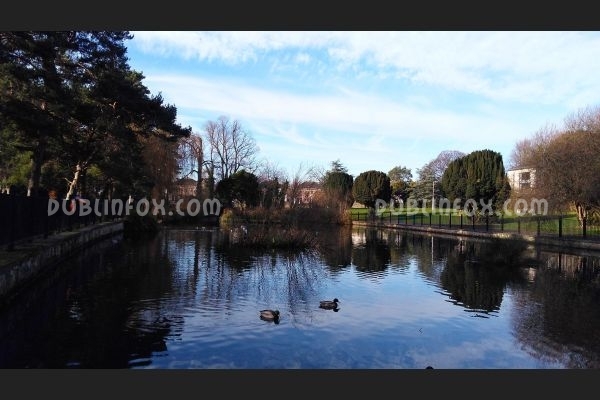 Near the playground, there is a small pond with ducks waiting to be fed by little people.